George R.R. Martin warns that winter is not coming in 2018. This is not a weather forecast but news that The Winds of Winter - the sixth book in "A Song of Ice and Fire" - will not be released this year. Variety notes that Martin's fans have been waiting since 2011 for a new novel. Martin's readers have urged him to write faster. There was even a hilarious video released in 2012 encouraging him to write like the wind. However, Martin is releasing a book called Fire & Blood. 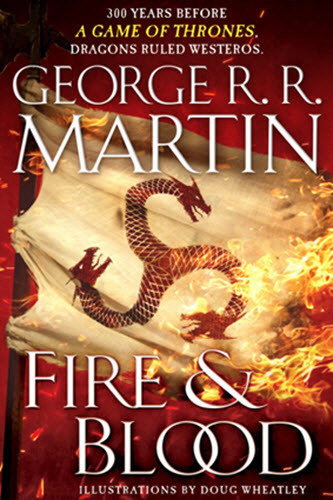 It contains the first half of Archmaester Gyldayn's history of the Targaryen kings of Westeros. Martin says Fire & Blood is nearly a thousand pages long. Fire & Blood will also provide information about the origin of Daenerys's three dragon eggs and the Dance of the Dragons. It will be released on November 20, 2018.